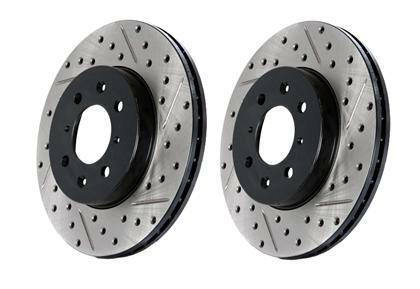 We have pieced together the final piece of the puzzle and now offer the Stoptech rotors for the Infiniti Q50 Sport. PM me for discounted forum prices!! Q'ed up, Q50SSS and Lunch like this. Last edited by Tunerz Store; 10-14-2018 at 06:06 PM. Nice nice! 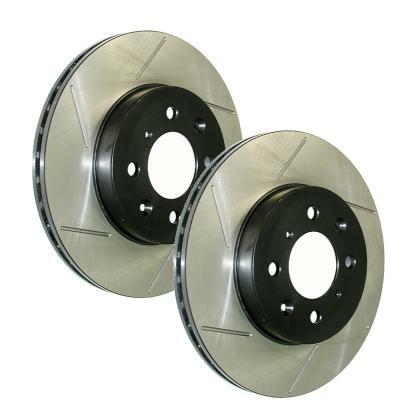 Guys buy my racing brake front rotors first! Wahaha! Jk! Tunerz store coming through for us! Feel free to use the pics in my build thread man for confirmation withyour customers! I had these rotors on my Z. They looked nice enough to begin with, but not having a rusty hub after the winter was especially nice. Coupled with stainless brake lines and carbon/ceramic pads, these made a very nice system. gbert15, Klamalama and Lunch like this. Quick question...are the sport brake same as the nonsport brakes? Got a slotted and drilled setup for the nonsport brakes? We haven't confirmed part# for the front setup, the rears are good to go. There u go tempest! U just need to get confirmation for the front set up! Maybe out resident dealer reps can help as well! Maybe stevethetech? Hmm....I wonder what it would take to convert the nonsport brakes to the sports...would that be too much trouble...maybe better off going completely aftermarket? Should be very similar to the non sport G37. You would need calipers, hardware, rotors, pads. The only problem is must go after market for the brake lines and they are completely different than the G37. The dust shields would have to be modified as well to accept the larger rotors.